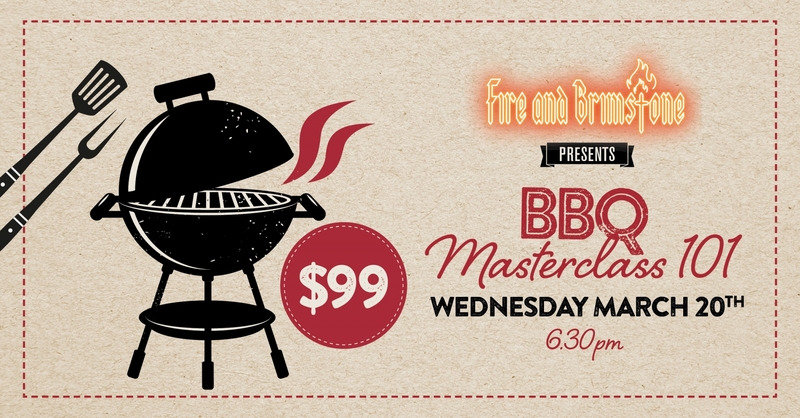 Fire and Brimstone are bringing you a BBQ Masterclass where you can learn the beginner basics of BBQ. We will be teaching you the ‘low n slow’ BBQ method to produce quality, juicy, mouth-watering meats! We will kick start the night with BBQ Pork Ribs and will slowly move into Lamb Shoulder and Beef Brisket. The night will begin at 6:30pm, running for 2- 3 hours. Prepare, cook and taste the meats.. we might even shout you a bevvy or two!